Lace Front: The front hairline of this wig benefits from an 8mm scalloped lace edge to create an invisible hairline. 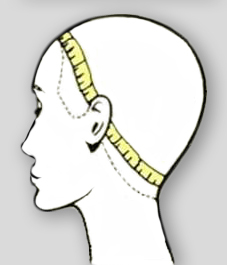 All our wigs are adjustable in size using the elastic adjusters in the nape of the wig. As a guide we suggest you measure your head size by going around the head behind the ears from the nape of the neck round to the front hairline. Our range of wigs are either average or petite so please check before ordering that the wig is the correct head size for you! 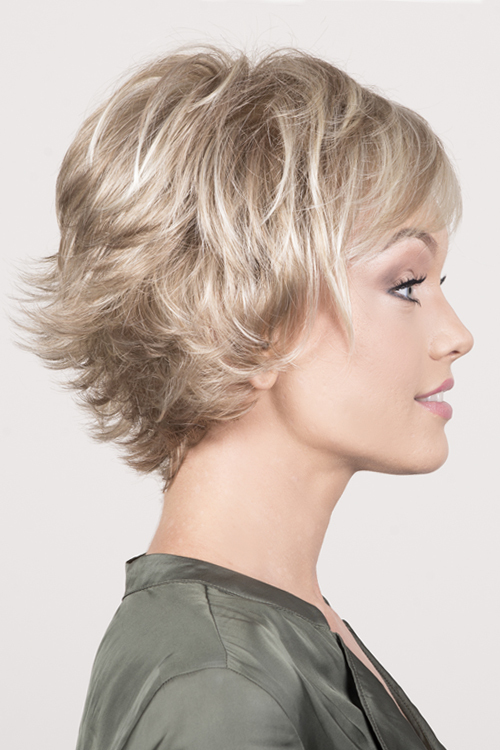 Fern is a chic, classy style with textured wispy layers that flick out creating a tousled look. The side layers can be swept onto the face or flicked back behind the ears creating individual looks. Fern is available in 14 colours including beautiful hilighted and special three colour trilight shades. 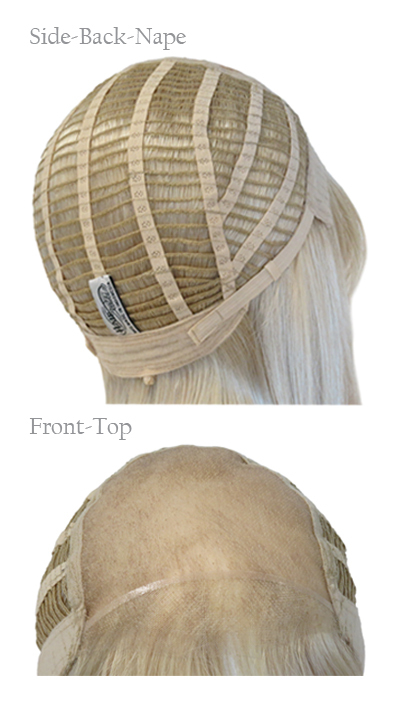 All our wigs are adjustable in size using the ultra thin velcro adjusters in the nape of the wig. These allow you to tighten or loosen the wig to suit your individual head shape. A perfect invisible front hairline is achieved by using a flesh coloured MONOFILAMENT LACE FRONT with singly hand tied hairs that extends to the FULL MONOFILAMANENT TOP. 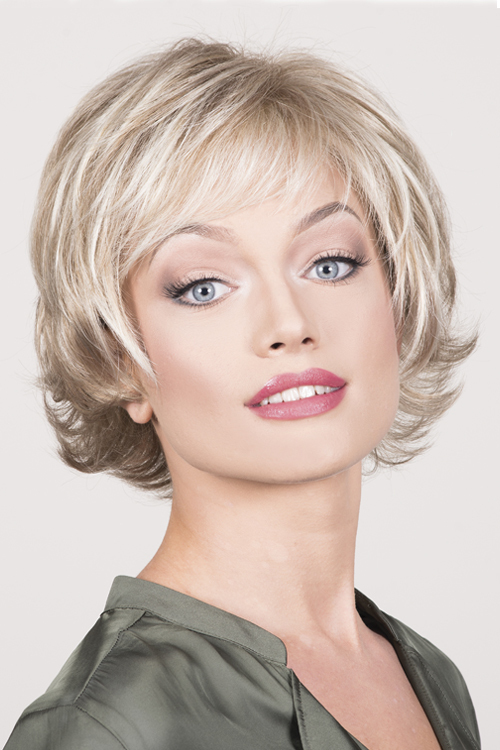 The finely diffused front knotting used in the very front area of the wig provides the wearer with the look that replicates that of NATURAL HAIR GROWTH from the scalp. The front edge can if required be taped down with the use of the specially designed lace tape and remover. 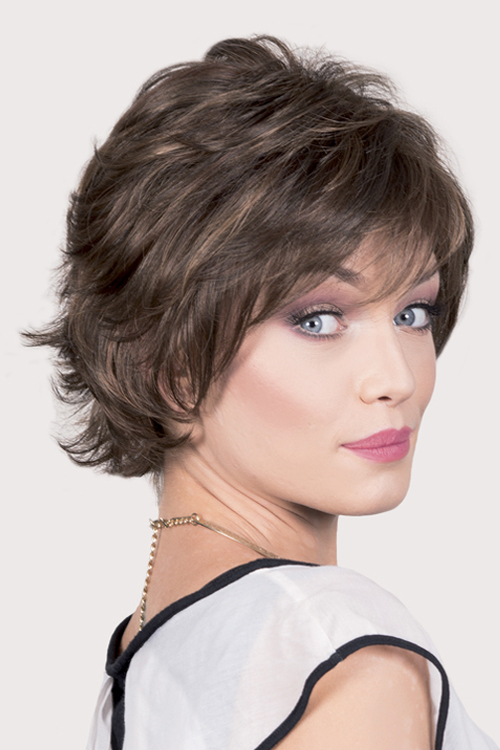 The full monofilament top section with single strands of hair being knotted individually into this fine flesh coloured monofilament lace foundations creates one of the most realistic looks possible whilst still retaining a fully breathable foundation that is lightweight, INVISIBLE and ultra-comfortable to wear. The use of soft velvet on the ear tabs and under knotting at the sides and ear tabs provides the wearer with both comfort and invisibility in these important areas of the wig. The nape area incorporates a band of soft velvet along with our new LAY FLAT ADJUSTERS. These adjusters enable the wearer to alter the size and feel of the wig to one which is the most comfortable to them.